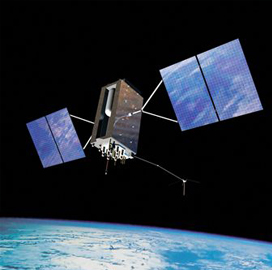 Boeing is close to wrapping up the initial tests of a Ka-band offering intended to provide satellite communications to agencies under the Defense Department through Inmarsat’s Global Xpress satellite network. The tests sought to assess the capability of the Inmarsat-5 F2 satcom service to facilitate video and data transmission on military helicopters and mobile terminals, Boeing said Tuesday. The Inmarsat-5 F2 satellite was introduced in February as part of the Global Xpress network. Jim Mitchell, vice president of Boeing Commercial Satellite Services, said the tests also aim to evaluate the compatibility of the Global Xpress network with the Wideband Global System. WGS serves as the Pentagon’s primary satellite communications architecture. Boeing initiated the demonstrations in May and expects to complete the tests later this month.